Trainer of the Year in the Central & Northern Region Training Awards. Le Cordon Bleu has more than 1000 students, from Certificate Three to Advanced Diplomas along with two Bachelor of Business programs. “You see the students come in as that raw product at the start of their education. They go from a pure beginner to an accomplished craftsperson by the time they leave,” Karen observes. “I encourage them to participate in competitions – we train, we do a lot of extra-curricular work. It’s all about generating passion and excitement and seeing them develop, which is helping to ensure the future of our industry. While Karen still teaches in the kitchen, her main focus is to ensure that the Institute is following the latest culinary trends and delivering premium quality courses. Her current role is the latest step in a varied foodservice career that has taken her from her birthplace of Ireland all the way to Australia. “It wasn’t anything I had planned to do,” Karen recalls of her entrée into the industry. “I was doing a summer job while waiting to go to uni, working as a commis chef for a family friend who owned a hotel in Kildare, just outside Dublin. They put me up for a culinary scholarship and I ended up going into it. In addition to her current work with TAFE, Karen is also the President of the NSW and ACT regions of the Australian Culinary Federation, a position she took on out of a desire to help build membership numbers. “I particularly want to encourage more young people to participate in competitions,” she emphasises. “We have to start with the young chefs and we’ve just set up our Young Chef’s Forum in NSW, the aim of which is to mentor young apprentices.” Karen also holds the complementary position of Ambassador for Women in WACS (World Association of Chefs’ Societies) – “that’s about bringing forward young females into the industry, showing the opportunities that exist out there and helping them to network. 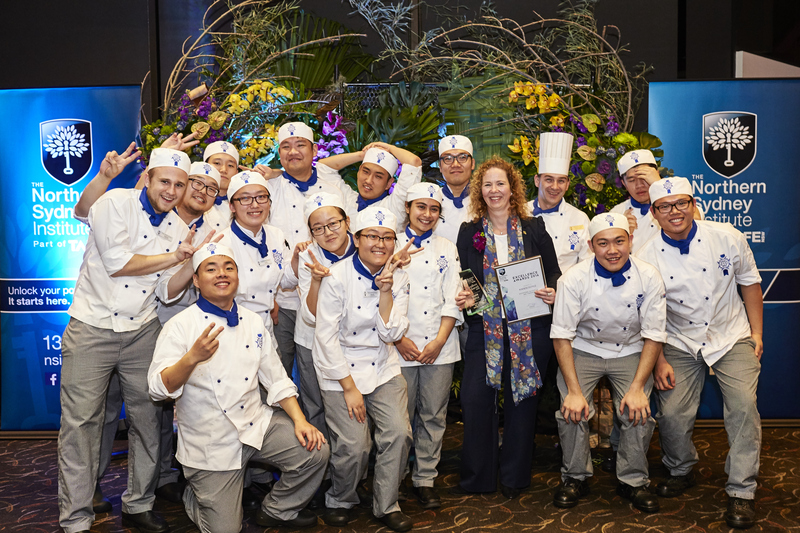 A big part of both these organisations, the ACF and WACS, is built around networking – representing chefs, cooks and culinary students, helping them to get themselves out there. “Last year our key focus was the Fine Foods trade show in Sydney, this year it’s on developing the professional skills and knowledge of our members. We are doing at least one, if not two workshops every month. 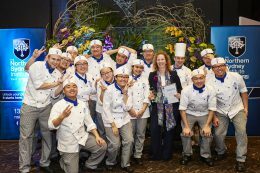 This is not only about fostering opportunities but also building camaraderie between foodservice professionals. We’ve organised a sugar masterclass, a chocolate masterclass, a couple of industry visits to suppliers, working in conjunction with our sponsors. As we speak, we’re planning a truffle tour to Bowral which will include lunch afterwards at the Centennial Vineyard – those are the type of events we’re promoting this year for NSW, and the ACT committee is running a similar program down there. “NSW and ACT & Regions is one of biggest regions for the ACF and it’s important we have a full program of events to help move the association forward. WACS is the international body that the ACF belongs to, so once you’re a member of the ACF you’re automatically part of WACS as well. Karen is also a member of the bidding committee for the 2020 WACS congress to come to Australia.